The second ‘Toehold Outdoors’ Group Tour was indeed a special one as it was specially crafted for students. 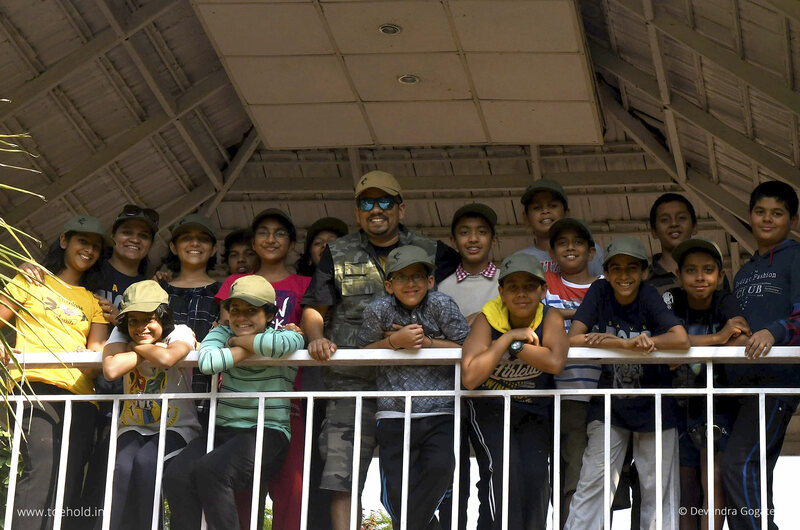 What made this Tour more special was that the students from a Pune-based school approached Toehold and requested to craft a wildlife tour (which for them was a ‘camp’) as per their preferred dates and requirements. This clearly shows that not only adults but also school children have a strong belief in our team and the quality of service, which we take great pride in providing! Since this was a Pune-based group, all the travel arrangements began from Pune and ended at Pune. Considering the participation of youngsters in the group, we at Toehold arranged for their domestic travel insurance as well. For us, safety is more important than any other thing when it comes to planning and executing any Outdoor program. The group was of 16 students and was led by two members from our team. 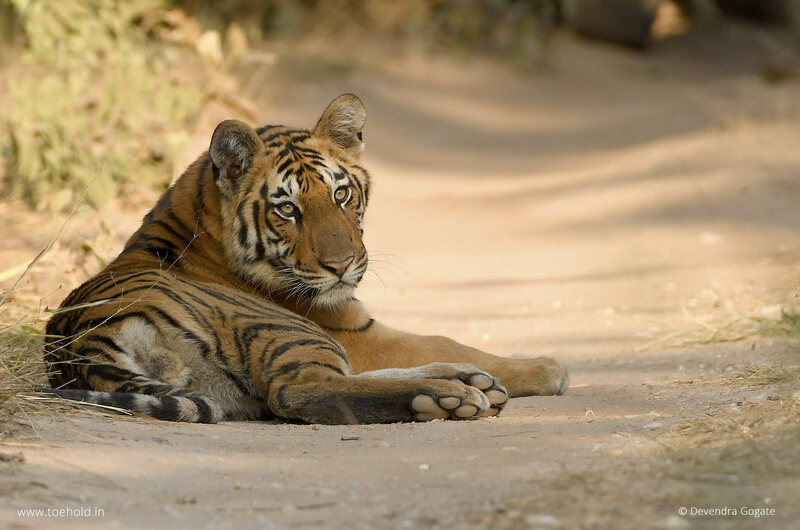 The group stayed at Pench for three nights and explored the forest on five jeep safaris and a walking trail. We started with the walking trail (around the resort in which we had stayed) and came across various signs of mammals which frequented the stream bed near the resort. Kids were surprised to see the scratch-markings of a tiger on the bark of Arjuna tree. Some non-vertebrate members, like the giant wood spider and funnel web spider were also spotted on the trail. The next day, everyone geared up for the very first jeep safari in Pench. 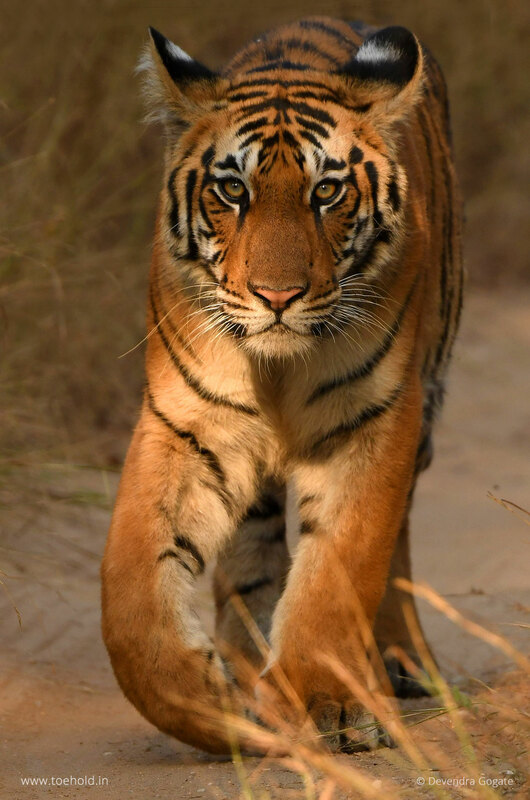 Some of the students were fortunate to track the legendary female tiger, Collarwali. 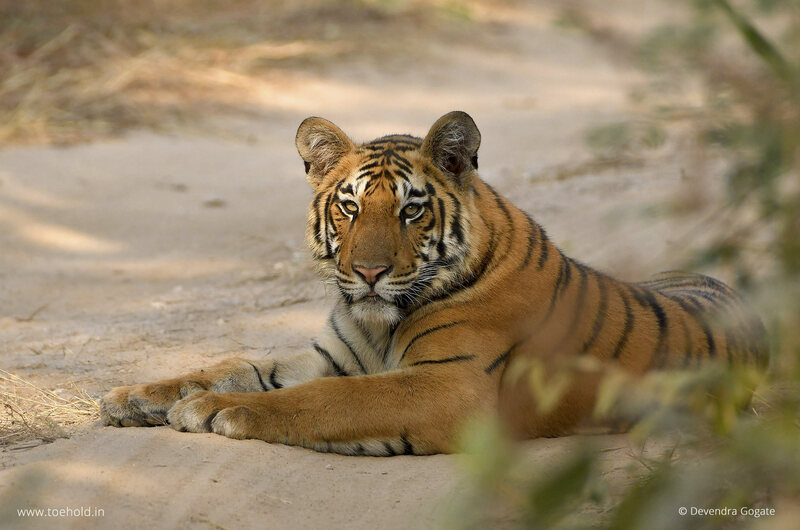 This tigress, a true superstar and supermom, has given birth to more than 25 tigers till date! 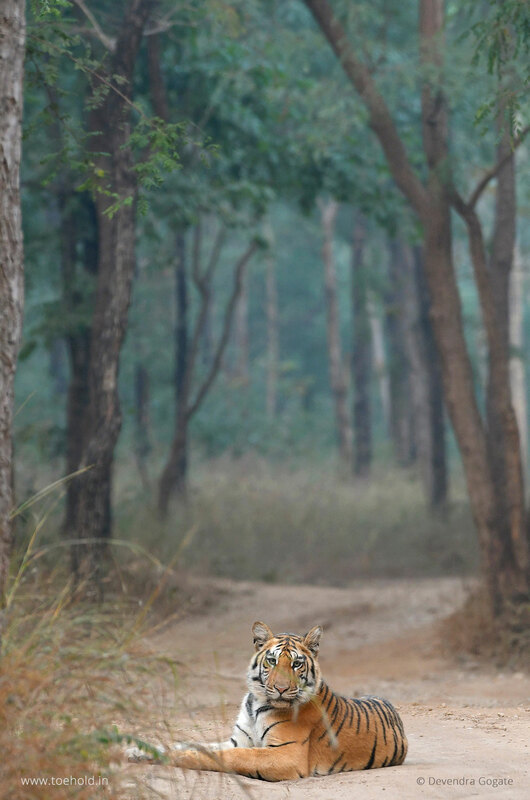 Seeing this undisputed queen of Pench was the best moment for the wide-eyed students. The second ride became interesting as a sub-adult tiger cub blocked our safari track and refused to move away. 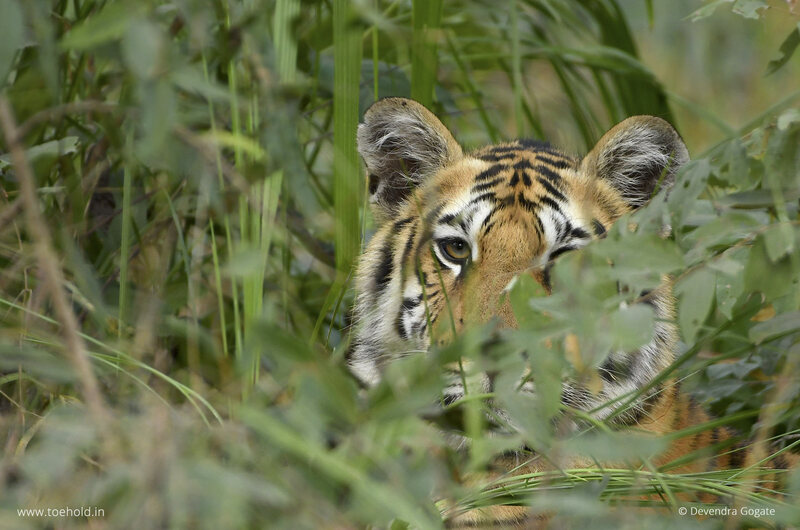 We were thrilled to see the bold cub resting at ease right in the middle of the safari track. This continued for about 40 minutes. The cub later decided to move and join his siblings in the bush near a water-body. Since the first two rides yielded really good tiger sightings, we decided to search for other predators and some rare birds as well. 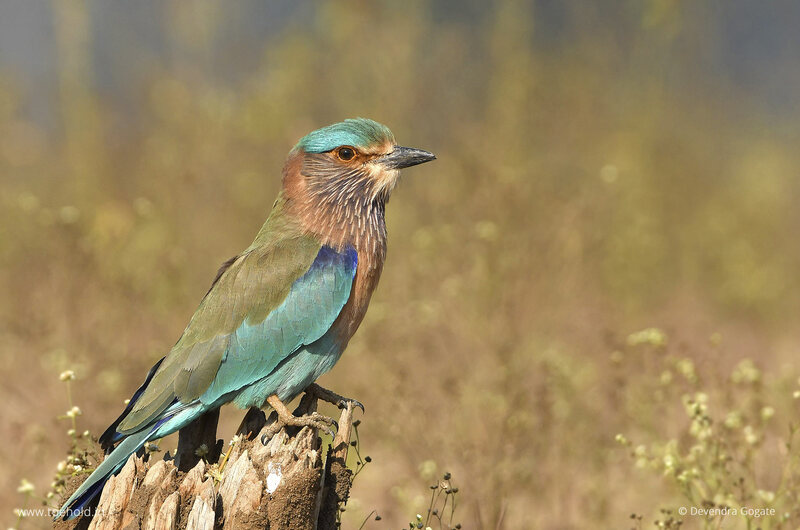 Most of the time of this safari was spent waiting at different parts of the jungle and listening to the calls of the birds. 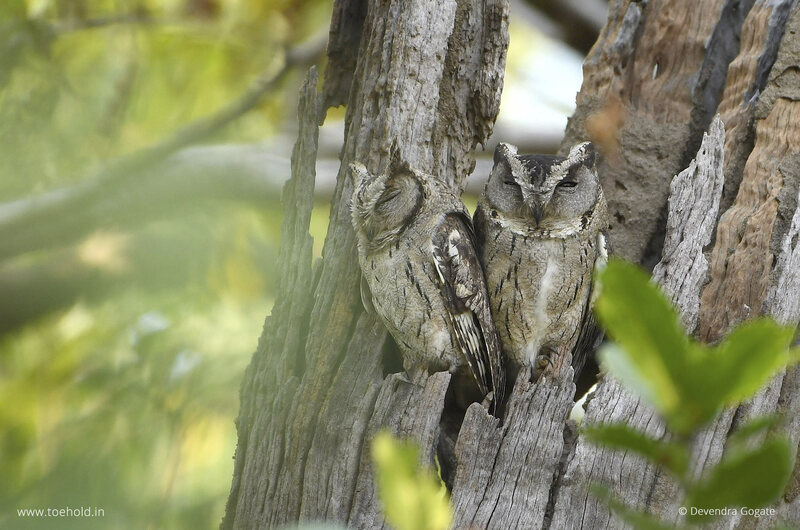 All the members were lucky to see the rare mottled wood owl on the morning as well as the evening safaris at two different locations. 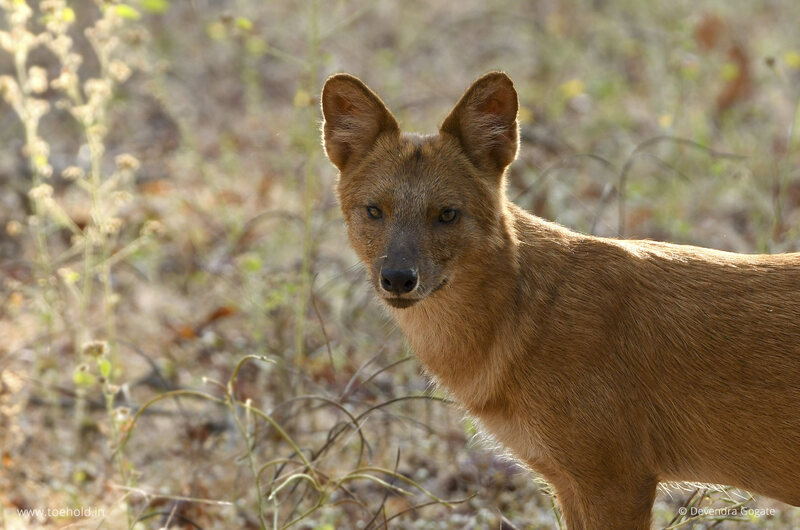 Some of the members could also see the ‘whistling hunters’ – dholes or Indian wild dogs. 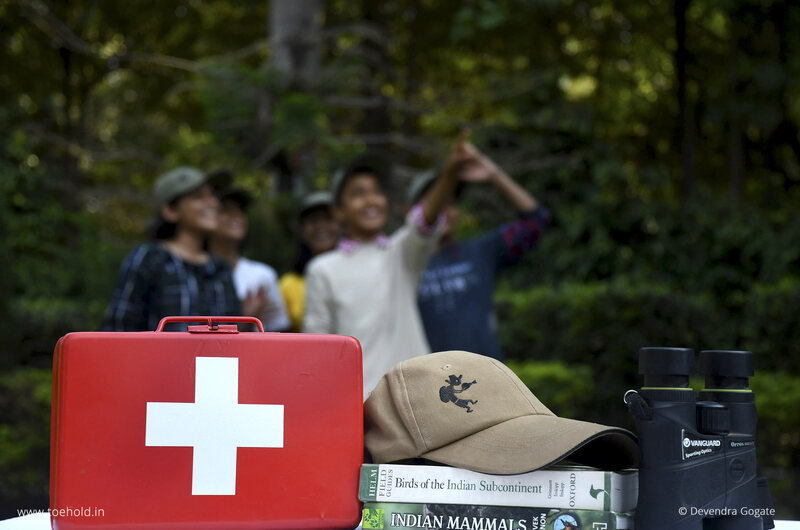 On the first two evenings, we had different interactive sessions with the kids, including an introductory session on Pench and another on the herbivores seen in the jungle. Our team also conducted a session on tiger, during which many important things about our national animal were discussed, like the lifecycle, identification, habitat, threats etc. Next morning was our fifth and final safari of the Tour (camp!). On this safari, again, our tracks were blocked by two sister tigers. We were fortunate to see them for more than an hour. Some members also saw one more tigress while returning to the main gate of the jungle. 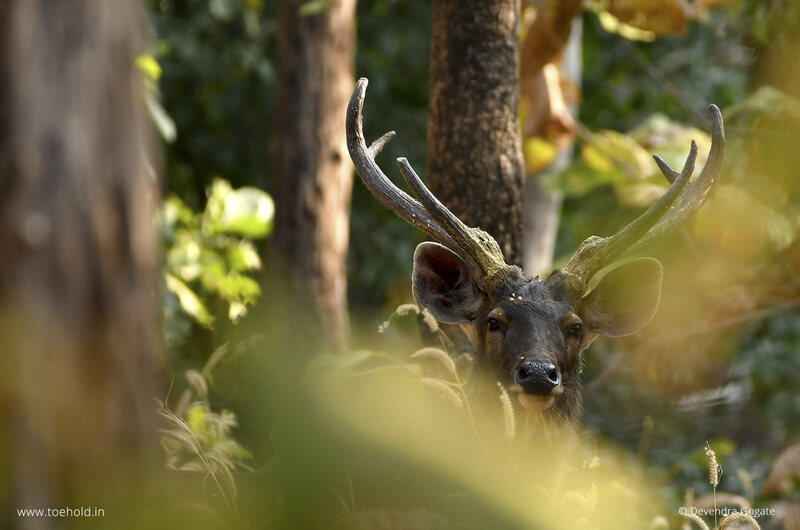 The Toehold Outdoors Student Group Tour to Pench was thus a rewarding experience in the wild both for the students and our team who were able to learn different things from one another.